Instead of standing around in the jammed packed card aisle at Target this year…why don’t you whip up a simple, yet to the point, DIY card? My “We Just Fit DIY Valentine’s Day Card” is a fun way to tell your special someone you love them. Fred and I are simple people. I don’t need to give him a card gushing with my love for him. I hope he already knows that. Especially since we are not your typical couple, I think this card just hits the head on the nail with only a few words. We Just Fit. We do. 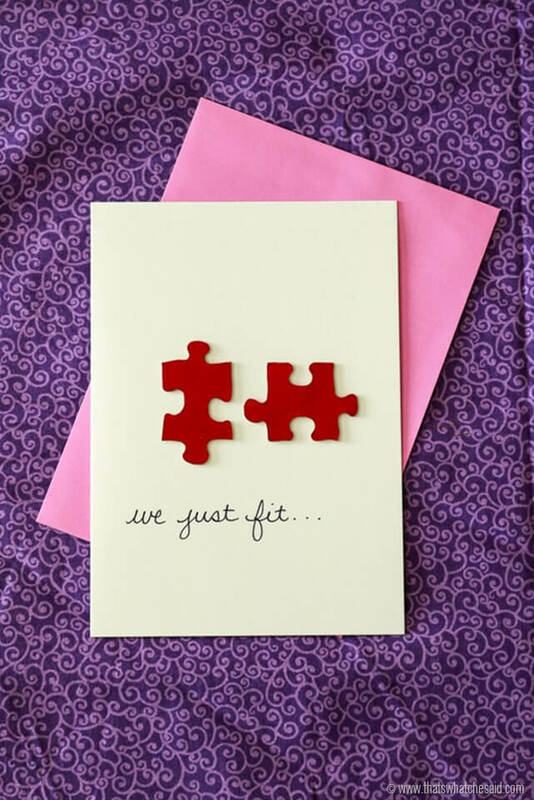 We are the perfect fit for each other. 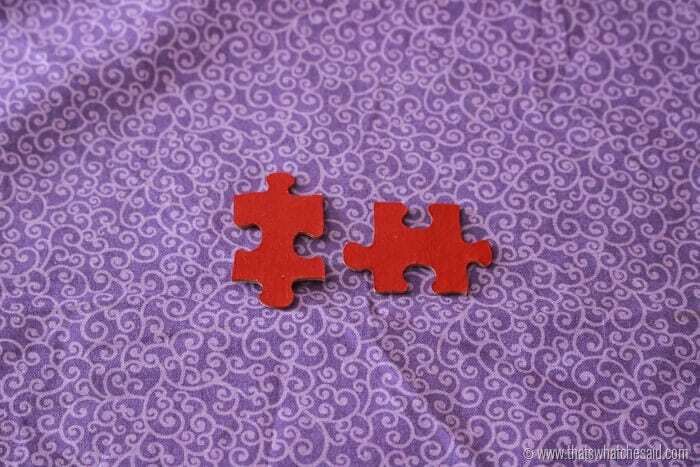 Just like two puzzle pieces! 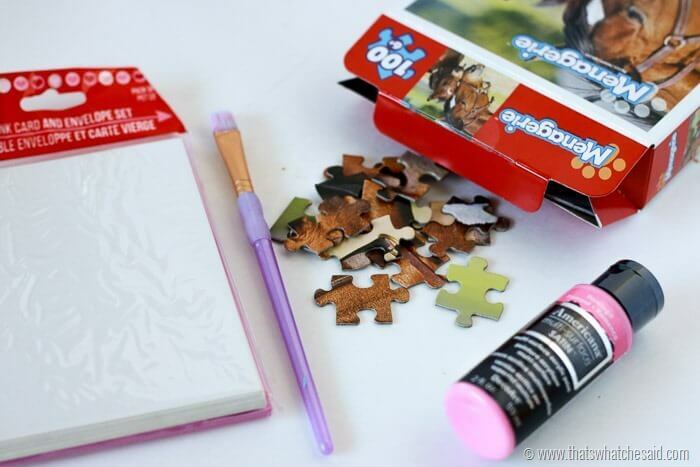 If you have been around the blog a while you also know I LOVE CRAFTING WITH PUZZLES! You might remember my Puzzle BFF Necklaces, or possibly my Puzzle Piece Wreath Ornament and Puzzle Piece Candy Cane Ornament and Puzzle Piece Snowflake Ornament. 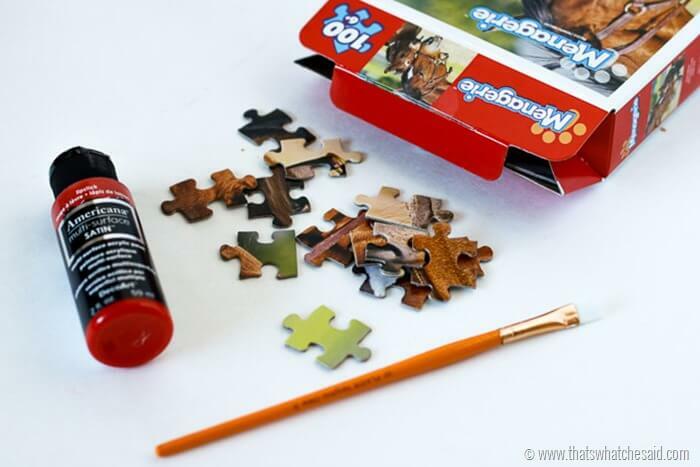 Puzzles are fun to create with and we all have that one that has a missing piece or two! Put the rest of it to good use with some creativity! 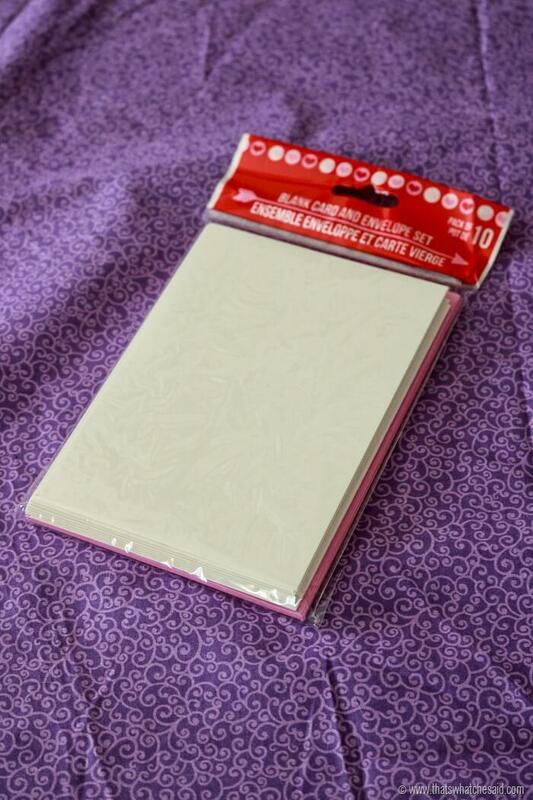 I picked up the package of blank cards with envelopes and the puzzle at my local Dollar Tree. My puzzle pieces are roughly 1.5” in size. I started out by putting my puzzle together. 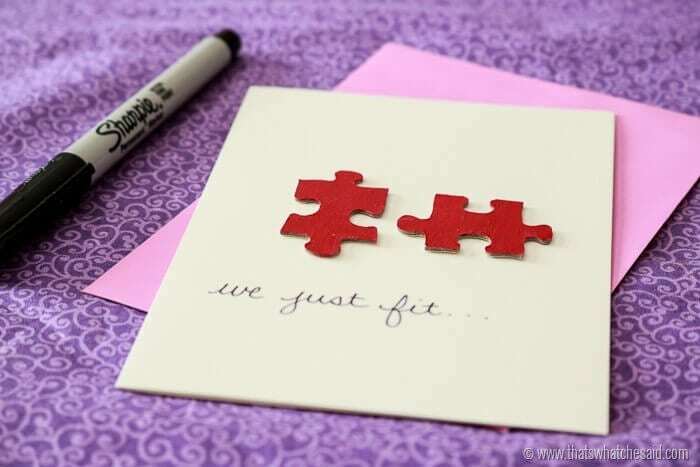 You want the puzzle pieces to fit together because otherwise your card should read “we are just two crazy pieces of the same puzzle” <—OH that would be cute though! See…creativity is always evolving! Once I had pieces that fit, I painted the pieces with some paint. You can include any sentiments you’d like on the inside! So easy and so cute!